Removals are tricky projects that need careful planning and consideration. Usually matters are made even more complex when the process involves relocation of irreplaceable or high value items, or when the timeframe of the relocation is quite narrow. Get Removals Chingford can assist customers with all types of residential and commercial relocations. We will organise, conduct and complete the removal in a well-organised, efficient fashion and save customers a lot of unnecessary hassles, and of course the cost of having to organise and carry out everything on their own. We are an experienced moving company which has dealt successfully with multiple types of relocations of different scale, nature and complexity. We focus our moving services on affordability and reliability as these are two fundamental factors. The company has the expertise, capacity and manpower to cover all stages of the removal, including preliminary surveying and packing, as well as any additional preparation work required. Should customers wish to do their own packing of items, we will be more than happy to supply the necessary packing materials. Our removal services are versatile, inexpensive and suitable for many different purposes and occasions. Whether you are require a comprehensive business removal or basic domestic removals we will be able to deal with your request successfully. We offer customers specialised services like piano removals, furniture removal and junk and rubbish removals for vacated and occupied properties. For extra peace of mind, we employ qualified professional movers and experienced drivers. Naturally, we have full liability insurance just as expected of a professional removal service provider. Customers have access to punctual round the clock customer support during all days. Each removal we conduct is carefully coordinated through our call centre. We allow for safe and efficient transportation of items through operating a fleet of specially equipped cargo vehicles. The vans we work with are clean, fully equipped for heavy lifting and securing of bulky or fragile items. Vehicles are fitted with GPS navigation and undergo regular technical inspections. Taking the edge off moving places by using our removal services will be an opportunity to explore one of outer London’s historically rich areas. Chingford originated as a rural ancient parish in Essex and gained its inclusion to London shortly before the turn of the twentieth century. One of the best known local landmarks is Queen Elizabeth’s Hunting Lodge. The place was initially known as the Great Standing and was built for King Henry the Eighth. One of the few remaining Victorian era forest retreats is the Grade II listed former barn called Butlers Retreat. As of twenty twelve the barn is repurposed as a café. Another interesting landmark is the Pole Hill Obelisk pointing true north to telescopes in the Greenwich Observatory. The other two places worth seeing are Friday Hill House and All Saints Church on Old Church Rd. We are here to plan and carry out every stage of your move. We offer first-class removal services in Chingford that were designed to provide trusted and timely relocation assistance to private and business clients. Get Removals is a reliable moving company that offers cheap moving services within London but can also be counted on for nationwide relocations from the English capital. Some of the advantages of being our customer include clean moving vans, flexible working hours and generous mid-week discounts. Chingford is a town set in the London Borough of Waltham Forest, in immediate proximity to Epping Forest. The latter is one of the most important ecological spots in the United Kingdom and it covers a large area of more than 2.5 hectares. 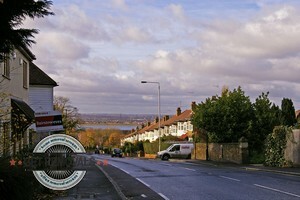 Although Chingford is not serviced by the London Underground, it is excellently linked to the rest of the English capital. This district is ideal for people looking to escape the city’s noise and craziness.